It’s IPA Day! I love living in these days of social media – would we have IPA day without it? Doubtful – it’s become a global phenomenon amongst lovers of Craft Beer. It doesn’t mean much to most but it’s a cracking opportunity to get talking about the IPAs we love around the world and it’s been fun reading all the tweets and Untappd checkins. I’m inspired by the sheer variety out there. What will your next IPA be? 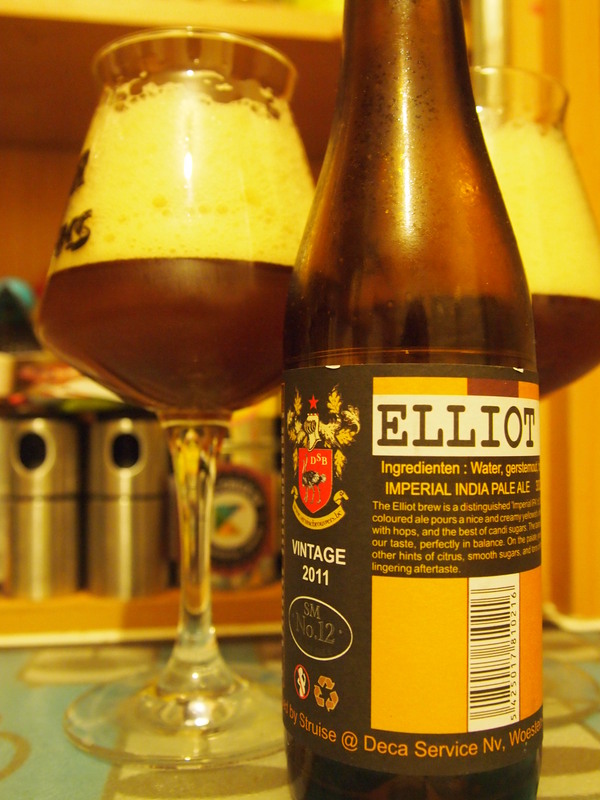 My IPA Day beer had to be that Struise bottle I’ve been hoarding, Elliot Brew (9%) which was part of the haul the lovely OH brought back from his recent trip to Brussels. I’ve always been stupidly amused by this one just because of the creepy Elian sketch (I have to say the name of this beer in the same way). Dumb animation references aside, this was a pretty darned nice beer to celebrate IPA day. It was a pain to pour since it was so very lively but it’s settled to a beautiful, cloudy, almost opaque golden colour. The aroma is definetly hoppy in a citrussy way, but also has a touch of cereal conjuring images of a joyfully golden cornfield. It’s beautifully balanced with bags of candy-sweet, bitter citrus (216 IBU!) at the front and a refreshing tidal wave of pink grapefruit sizzling on the tongue. The aftertaste is long and mouthwateringly dry. This gorgeously moreish quality is perhaps why we have a whole day for IPAs in the first place. 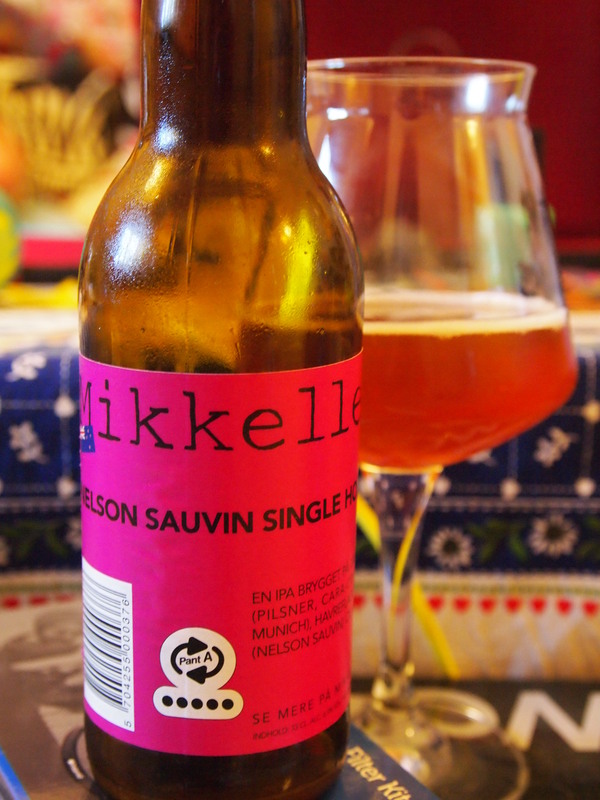 Since I’m on the subject, I should really use the opportunity to post my review of Mikkeller‘s wonderful Nelson Sauvin single hop IPA (6.9%ABV) which I had the pleasure of drinking the other night. Since I’ve started home-brewing, I’m quite interested in trying single-hop IPAs to get a feel for the different varieties and their cheeky characters so I know what I have to play with. I’ve been pretty impressed by the very much in-vogue New Zealand varieties so far and if anyone knows how to hop, it’s Mr Mikkeller. Well he’s really done an awesome job here; the invigorating bitter citrus aroma hits you right in the face the moment you get the lid off and beams out like the sunshine. The hazy sunset colour is crowned with a delicate lacing in the glass. If there’s a beer equivalent of an exotic cocktail served in a pineapple, this might be it. Tropical acidic pineapple is followed by luscious pine and a long, juicy finish. The aftertaste leaves you with the aromatic memory of lychees. A beautiful showcase for a stunning hop from over at the other side of the world. I hope you found something delicious for IPA Day – I’d love to hear about any discoveries. Don’t forget, any day can be IPA Day so hop to it and make your taste-buds smile.